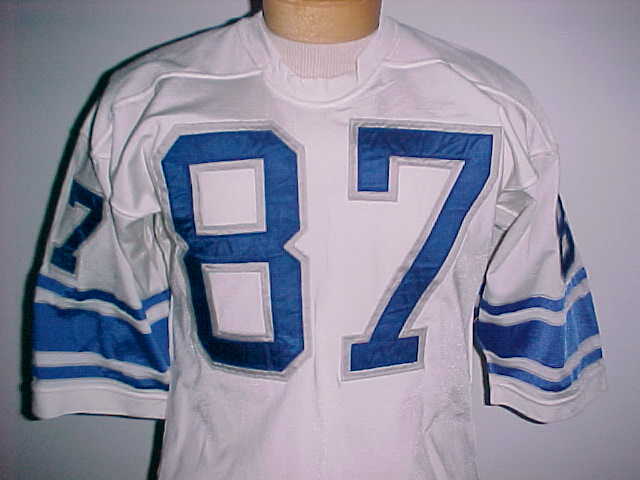 In 1973, the Lions added silver trim along the sleeve stripes. The Honolulu blue stripes are woven into the material. 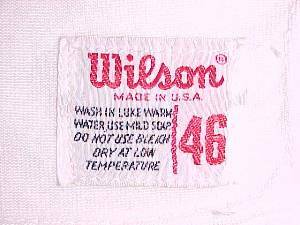 Wilson durene knit size 46. Issued in 1973, as the 1974-1979 Wilson tail tags were different. 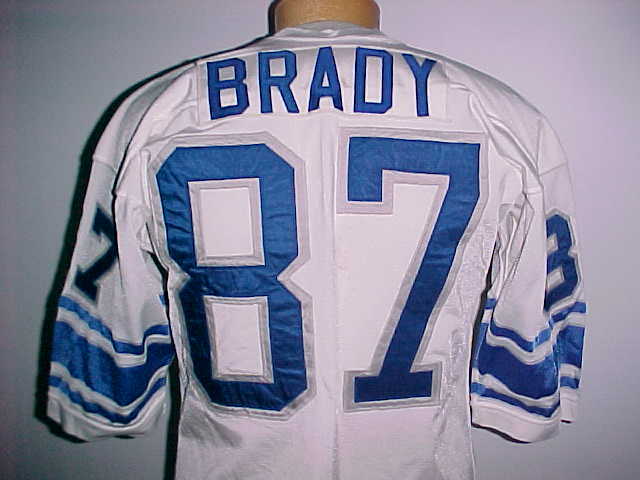 Brady, a tight end from Washington, was one of the Lions' third round draft selections in 1973. He spent the 1973 season on the injured reserve list due a thigh muscle injury. He played in three preseason games in 1974, then missed the regular season due to a hamstring injury. He is listed in the Lions' Press - Radio - TV Facts Books (now called media guides) from 1973, 1974 and 1975.